The Holiday Inn Auburn Hotel is located in the foothills of the Sierra Mountains along historic Highway 49 in Auburn, California. Rich in history of early settlers and the gold mining era, it’s a great Northern California getaway. Whether you are looking for gold mines, rafting, fishing, hiking, golfing, mountain biking, skiing, antiquing or just relaxing in a charming small town in a beautiful setting, the Auburn area is just right for you. Check in with Placer County Visitor Center for more information. 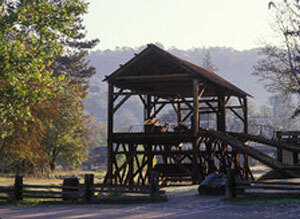 Coloma, just minutes away, will take you back to where gold was first discovered in a stream bed at Sutter’s Mill. Mine tours are available nearby at Empire Gold Mine and Gold Bug Mine. World class rafting and fishing on the American River are just 20 minutes away, see the North Fork and Middle Fork tours in our area. For the golf enthusiast, Dark Horse Golf Club, Auburn Country Club, and The Ridge Golf Club, home of an LPGA tour event, are nearby. 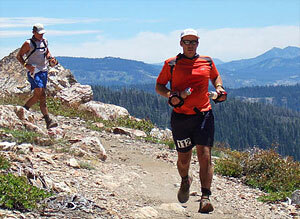 Auburn is also home to many of the Sierra’s best hiking and mountain biking trails. Ski country awaits with a short drive up the mountain to Sugar Bowl or Boreal ski resorts. Ask about our packages. Auburn has earned this distinction for hosting two of the world’s most demanding ultra-endurance events – the famed Western States Trail Run and the Tevis Cup Equestrian Ride. These events test competitors along the rugged historic trail by traveling 100 miles in one day from Lake Tahoe to Auburn. With world-class athletes and international celebrities, these events, which are set in the most breathtaking corner of California’s Gold Country, provide an environment rich in stories and images. The local Auburn Wine & Ale Trail offers a peaceful tour through the towns of Auburn, Newcastle and Roseville while you enjoy exquisite tastings at Auburn’s finest local wineries 23 in all and award winning craft breweries— including notables Mt. Vernon, Vina Castellano, Wise Villa, Dono dal Cielo, Fawn Ridge, and Lone Buffalo. Goathouse Brewing, Moonraker Brewing, Crooked Lane Brewing and Auburn Ale House. You’ll also enjoy antique and boutique shopping, restaurants and museums or take a walking tour in Old Town Auburn and, for the lucky, a casino is within a 15 minute drive to Thunder Valley in Roseville. 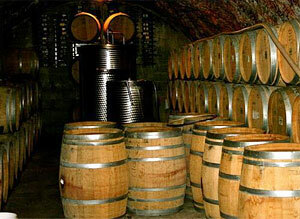 Ask about our Weekend Wine Package! Sierra Vintners is just north at a higher elevation with many tasting rooms in the historic towns of Grass Valley and Nevada City. Discover more area resources and information for activities and attractions in Coloma Valley and Placer Valley.